When Germany surrendered in May 1945 it was a nation reduced to rubble. Immediately, America, Britain, Soviet Russia, and France set about rebuilding in their zones of occupation. Most urgent were physical needs--food, water, and sanitation--but from the start the Allies were also anxious to indoctrinate the German people in the ideas of peace and civilization. Denazification and reeducation would be key to future peace, and the arts were crucial guides to alternative, less militaristic ways of life. In an extraordinary extension of diplomacy, over the next four years, many writers, artists, actors, and filmmakers were dispatched by Britain and America to help rebuild the country their governments had spent years bombing. 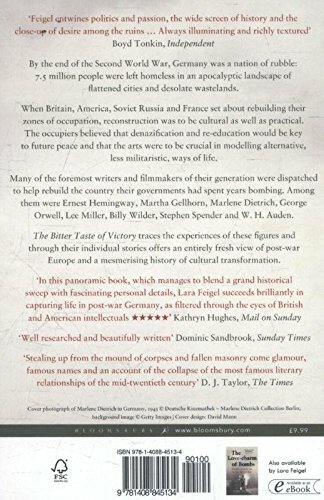 Ernest Hemingway, Martha Gellhorn, Marlene Dietrich, George Orwell, Lee Miller, W. H. Auden, Stephen Spender, Billy Wilder, and others undertook the challenge of reconfiguring German society. In the end, many of them became disillusioned by the contrast between the destruction they were witnessing and the cool politics of reconstruction. 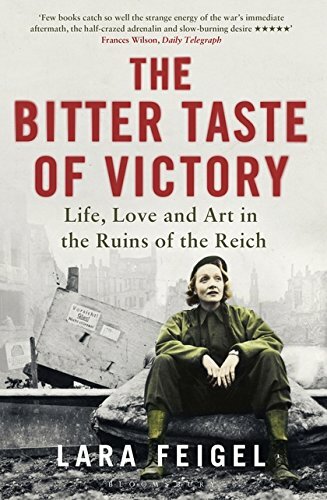 While they may have had less effect on Germany than Germany had on them, the experiences of these celebrated figures, never before told, offer an entirely fresh view of post-war Europe. 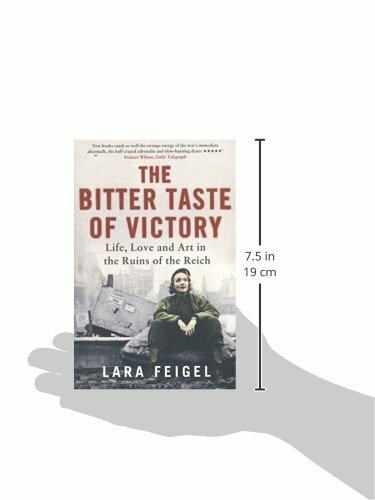 The Bitter Taste of Victory is a brilliant and important addition to the literature of World War II.